Motorcycle carrier division providing services among corporate motor units. 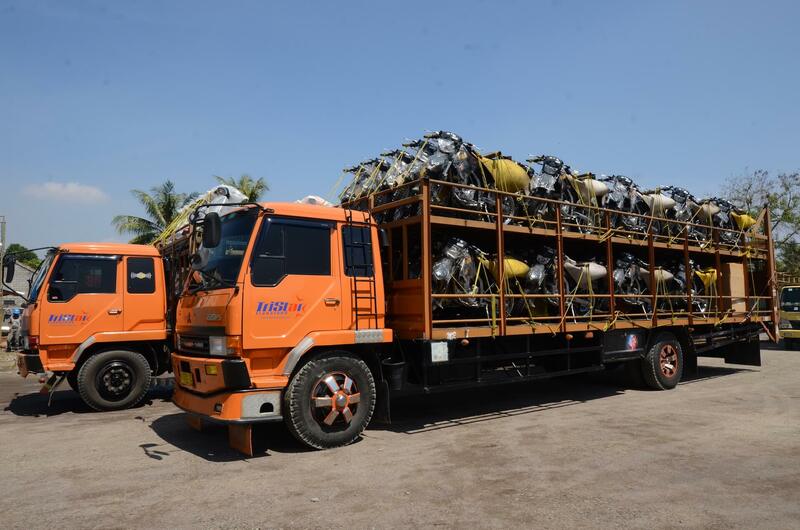 Truck carrier is available with the capacity of 5, 6, 16, 30, 64, 72/84, 100, and 120 units. 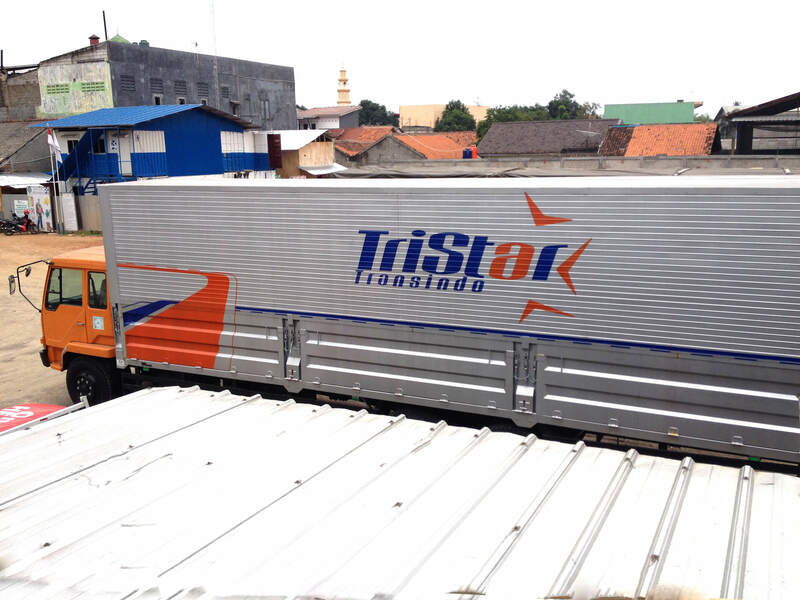 With the support of the experienced driver and reliable helper, this division is ready to serve customer to head towards anywhere, to Sumatra, Bangka, Jawa, Madura, Bali, Lombok, Sumbawa, Kalimantan, and Sulawesi. 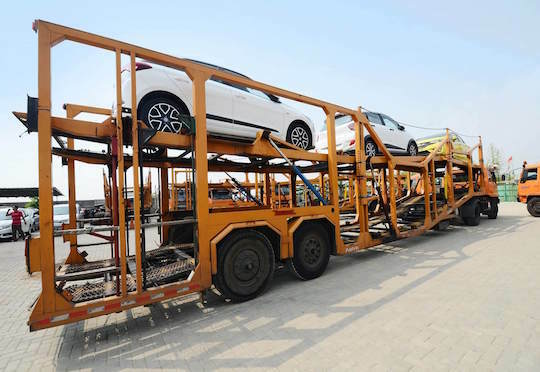 Car carrier division providing services among corporate car units. 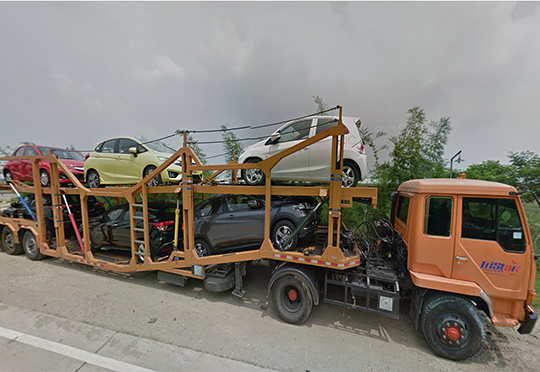 Truck carrier is available with the capacity of 1, 5, and 6/8 cars. 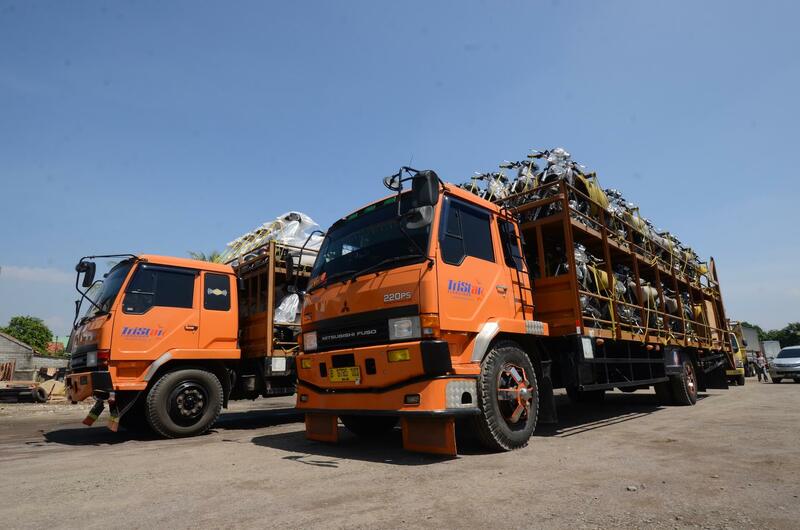 With support from the latest technology, experienced driver, and reliable helper, this division is ready to serve the customers to any destinations, to all major cities in Sumatra, Java, Madura, Bali, and Lombok. 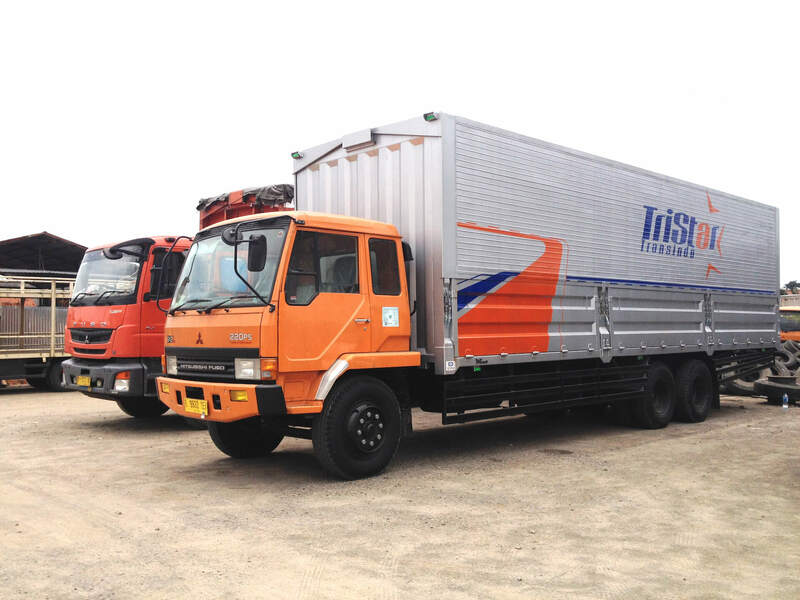 Cargo carrier division provides freight services by truck box unit, available with the capacity of 4, 7.5, 17.5, and 30 tons. 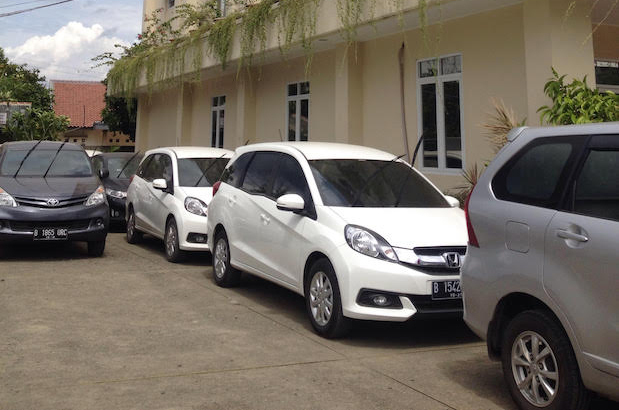 With support from the latest technology, experienced driver, and reliable helper, this division is ready to serve the customers to any destination to all corners of Java, Bali, Madura, and Lombok. Vehicle rental division provides support services for individuals and companies in need of motorcycle, car, or employee transportations units. 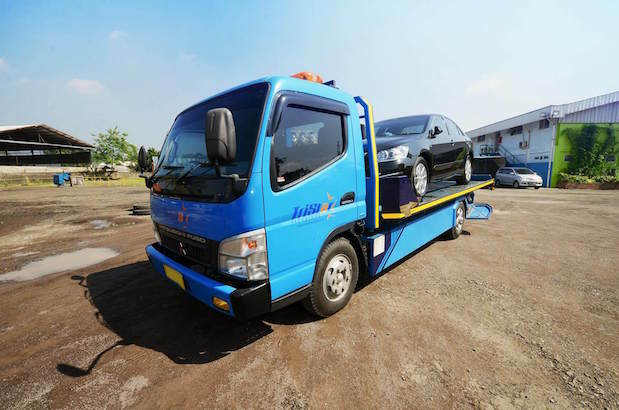 Vehicle rental Division also provides pick up and truck box units rental service, for tenants who need short-term transportation services as well as long-term contracts.